We've already shown you fun and easy ways to save on makeup, but did you know you can create your own nail polish color out of eye shadow? It's true! When you don't want to splurge on a new polish, just break out your old shadows (if they’re cracked or broken, that's even better! 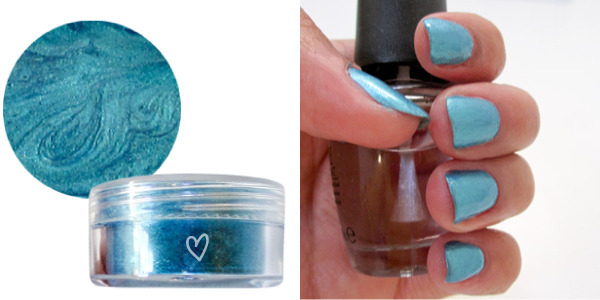 Colored pigments work too) and repurpose for your fingertips. 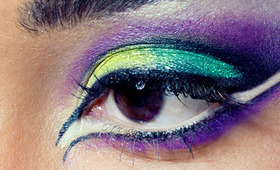 You can mix colors to achieve the exact shade you want—perfect when creating complex, intricate designs or effects. Plus, you know no one else in the world will be wearing your one-of-a-kind color. But the best part? The process takes less than 10 minutes! Keep reading as we walk you through this simple DIY project. Try it at home and tweet us your pictures! 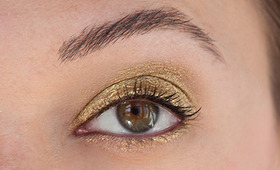 Start by gently tapping a loose eye shadow into a small bowl. If you are using a solid shadow, scrape it out of the palette using a kitchen knife. 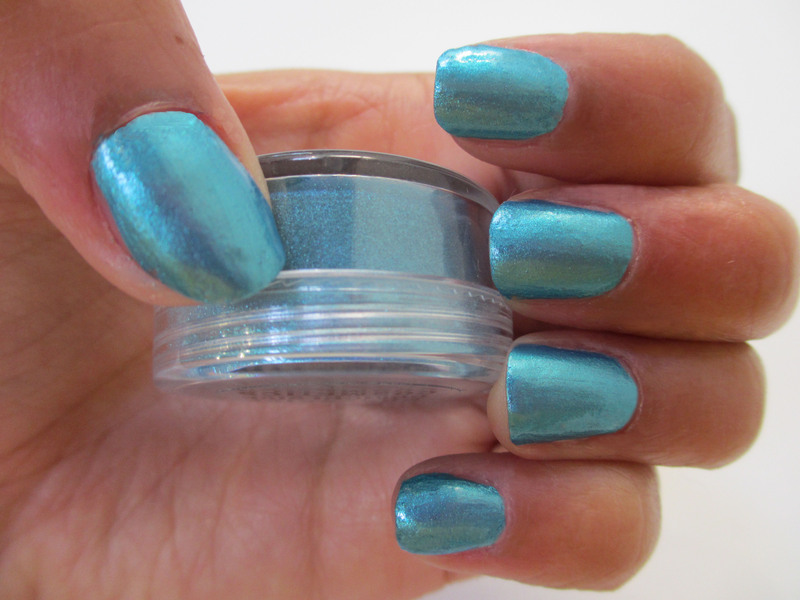 Because you want your polish to apply smoothly without bumps, use your knife to smash any larger pigment bits into dust. You should have about a spoonful of powder, which will be enough for all 10 digits. 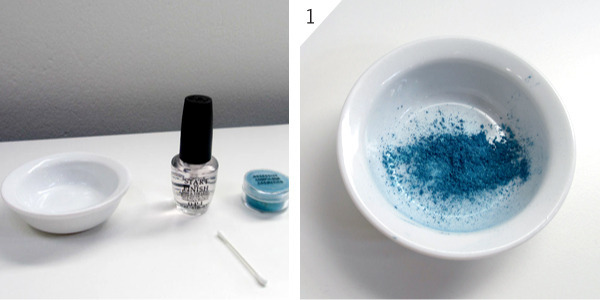 For an exact measurement, tap eye shadow into a spoon before dumping it into the bowl. Use the brush on your clear nail polish (we opted for a base and topcoat combo) to add 25 to 30 drops to the bowl with the eye shadow. If you are feeling more confident, pour drops directly from the bottle. 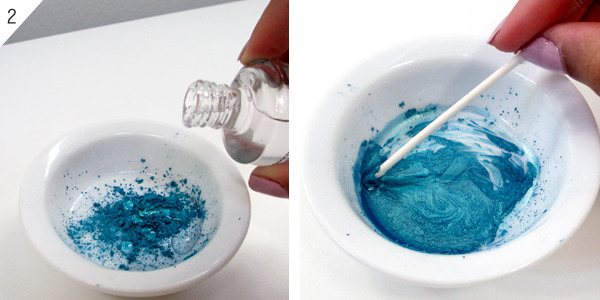 Remove the cotton from one end of a Q-tip and use the stick to stir eye shadow and nail polish together until they blend into a colored liquid form. You should be able to tell if your polish is too thick or too thin and adjust accordingly by adding more powder or more clear polish to the mix. Be sure to blend well. The smoother the formula, the better it will apply to your nails. Because the blend is exposed to air, it will dry quickly, so begin to paint your nails right away. 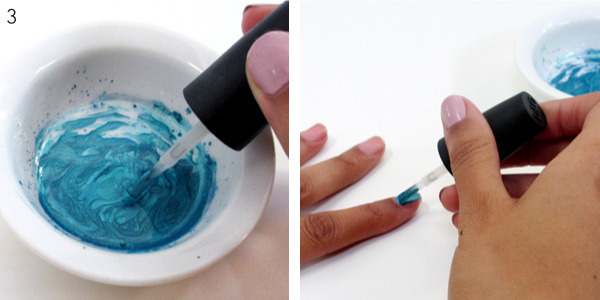 Use the brush from your clear nail polish to apply. Don't worry—you can soak the brush in nail polish remover later to remove the polish (it will be as good as new!). Like a high-lacquered finish? 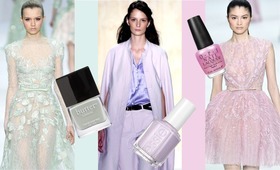 Apply a clear topcoat to your manicure. Voilà! Custom holographic nail color.